This post is part of a series profiling women and their experiences at National Girlfriends Networking Day events across the country. When we say that National Girlfriends Networking Day changes lives, we aren’t exaggerating. Take University of Delaware student Molly Carroll. Molly says she “didn’t quite know what to expect” when she arrived at National Girlfriends Networking Day in June of 2014. This political science and journalism major was interning in New York at the time with one of the women on The New Agenda’s Advisory Council, and went along with her to see what the event was all about. 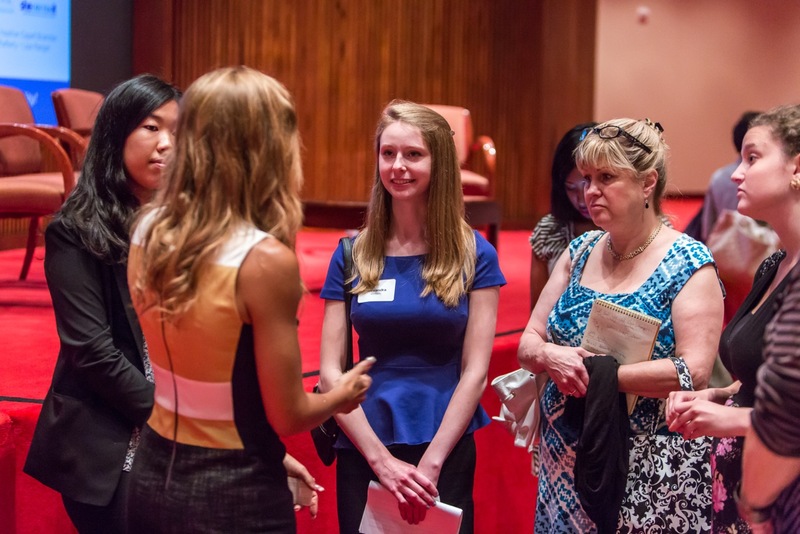 A “huge fan” of Fox News anchor Gretchen Carlson, a panelist at the 2014 event, Molly was excited to meet her role model and intrigued by what NGN Day had to offer. “I went to the event last year and didn’t really known much about women’s rights or equality. It opened my eyes to female empowerment once I learned what it was all about,” says Molly. “I was so interested, I became a Women’s Studies major at school, and from that I’m able to learn more about the issues affecting me and other women. NGN Day takes place on June 4, 2015, from 11:30 am-1:30 pm EDT (8:30-10:30 am PDT). Click below to register for event locations nationwide. Author Sarah Gruen, a summer intern for The New Agenda, is a rising junior at Tufts University majoring in English and Political Science.